What types of remote monitoring devices would you recommend I consider for my vacation rental property? This question was answered on November 4, 2018. The variety of affordable devices available for property owners to remotely monitor and manage their rental units has become a bit overwhelming. There are a couple of infrastructure considerations that you should think through before investing in devices that could actually become a hindrance to your guests. In order to remotely manage any of these devices, you’ll need to make sure you have a reliable Internet connection and a strong Wi-Fi signal to all areas that the devices will be installed. If your rental property is in an area that has unreliable Internet connectivity or the location for your devices can’t get a Wi-Fi signal, you’ll want to be very careful with your choices. 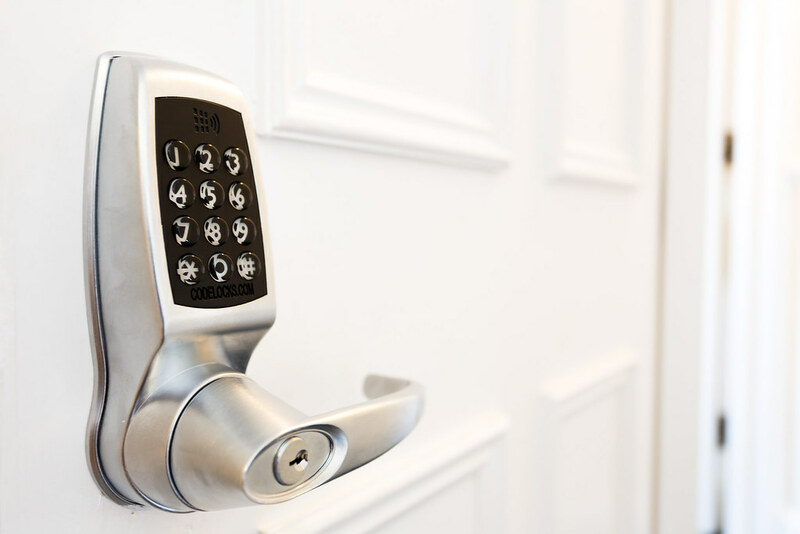 Using an electronic smart lock with a keypad eliminates the need to distribute physical keys and the more sophisticated options allow you to create temporary access codes that expire automatically with the rental term. These devices use batteries that usually last several years, but I always recommend that you think about worse case scenario and plan accordingly. Devices that only work if the battery is good can keep your guests from being able to get in when they malfunction, so having a manual backup option such as a physical key that your cleaning crew has or is stowed away in a hidden lockbox may be something to consider. Placing cameras all around your rental property so you can monitor what is going on can also make your guests feel like they’re being watched, so be careful where you place them and where they are pointed. Video doorbells can be a relatively discrete way to monitor activity, but you’ll want to remember to turn off the motion detection while your guests are using the property to avoid getting constant alerts. Companies like Ring (https://ring.com) also offer floodlights that have motion sensing night vision cameras that can be monitored using the same app as the video doorbell. If you’d like to put cameras where there are no power outlets, companies like Blink (https://blinkforhome.com) and Arlo (https://arlo.com) offer battery operated Wi-Fi cameras that are also weatherproof. The ability to control the temperature of your rental property remotely can both save you money and get the property to a comfortable temperature before your guests arrive. There is no shortage of feature packed smart thermostats from companies like Nest (https://nest.com/thermostats) and EcoBee (https://ecobee.com), but for a rental property, I prefer a much less expansive device that’s easy for guests to operate like this basic Wi-Fi option from Honeywell (https://goo.gl/FwrHtr). Controlling your lights from afar can both save you money and make it appear that someone is currently occupying your empty property. You can either go with the full smart lighting platform from Phillips (http://meethue.com) or install smart light switches, dimmers and outlets from Belkin (https://goo.gl/PXMu73).